I’m a big fan of Televes Amplifiers. They are designed to take multiple antennas and put them on a single line so you can feed multiple TVs. This is a much better option than a rotator which limits what each TV can see. 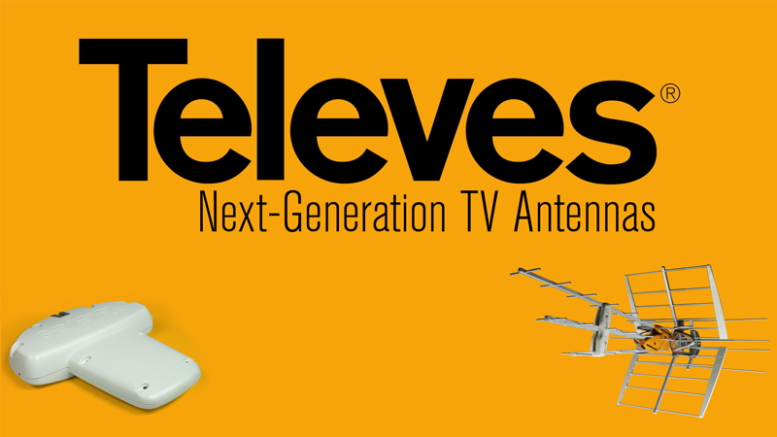 They’re designed for today’s TV reception needs and they even eliminate LTE interference which can cause problems. When you look at everything you get, it’s pretty impressive. One of the strengths of the amplifier is the Easy-F connection system, which lets you make secure, weather-resistant connections without an F connector, which limits signal loss and makes the entire process easier. However, there’s something you need to know: the system is designed for RG59 or RG6 dual shielded cable. It is not designed for quad shield cable, which is thicker and may not allow the amplifier to give weather resistance. Quad shield cable has an extra layer of braiding between the inner copper conductor and the outer rubber sheath. It’s used in commercial installations to provide extra protection against outside interference. It’s not necessary for TV antenna use, except for maybe 1 in 1000 cases. Quad shield cable doesn’t necessarily mean you can get longer runs and it doesn’t guarantee a stronger signal. The outer housing of a Televes amplifier is designed to work around a dual-shielded RG6 cable’s thickness, not the extra girth that comes with RG6 quad shield cable. It’s only a few millimeters, but it does make a difference. I should also mention that RG11 cable, which is used for long runs in commercial installs, won’t work either. If you feel you must use something other than RG59 or RG6 cable with your Televes amplifier, I recommend creating short jumpers of 1-2 feet in length and connecting them to the amplifier, then putting an F connector on the other end. You will lose about 1-2dB of signal this way through the two connectors and the barrel you’ll use to make them work, but you’ll still get that superior Televes engineering working for you.